By 1915 it was no secret that Canada's railway industry was in major trouble. Overbuilding and massive borrowing from the federal government had led to crippling financial problems for two of the country's major railways, the Grand Trunk (GTR) and the Canadian Northern (CNoR). Although the GTR and CNoR failed for different reasons, lack of government oversight in both encouraging and financing such huge projects was certainly a mitigating factor. The Canadian National Railway Corporation had its roots in the Canadian Government Railways (CGR), an agency formed in 1915 to manage a group of federally owned railways. These included the Intercolonial Railway (ICR) in the Maritimes, the National Transcontinental Railway (NTR), the Prince Edward Island Railway (PEIR) and several other small regional railways. Each railway used its own reporting mark and was run as a separate entity. In 1916, a Royal Commission recommended the formation of a national railway to be run commercially by the Canadian government. The commission put forward a plan to merge the government's existing lines, followed by nationalization of the GTR and CNoR. The report took the position that the latter two railways were rightfully owned by the Canadian people due to the vast amounts of financial assistance they had received. The government didn't have long to ponder. The CNoR collapsed in 1917. That was followed in 1918 by the creation of the Canadian National Railways as a means to simplify and consolidate the government's railway holdings. CN's first president was David Blyth Hanna, the former general Manager of the CNOR. The Scottish-born Hanna Thornton began working for the Grand Trunk Railway in 1882. He left to become general manager of the CNOR in 1896, a position he held until the railway's demise. 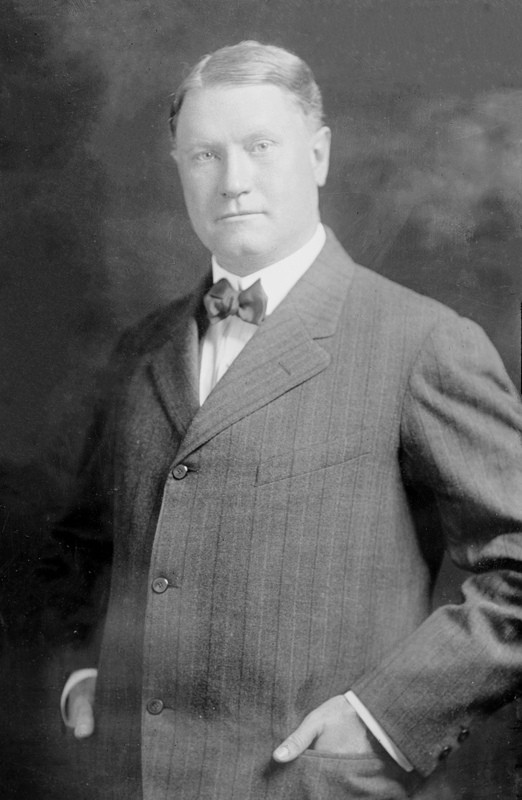 In 1918, he became first president of CN. He left in 1922, citing political interference in the railway's operations. In 1919 the Grand Trunk Pacific (GTP), which had been running on a government lifeline for four years, was forced into receivership and rolled into the mix. The following year the GTR was placed under government management. By January 1923, all the railways had been merged under one company known as the Canadian National Railway (CNR later CN). D.B. Hanna was followed by Sir Henry Thornton. 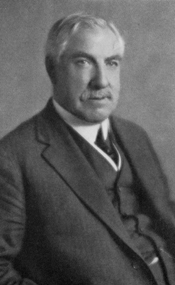 The American-born Thornton had moved to England in 1914 to manage the Great Eastern Railway. He became a British subject in 1919 and was subsequently knighted for his distinguished efforts during World War I. In taking on CN, Thornton was faced with the daunting task of trying to build a profitable railway from two major constituents, both of which had been built with competing interests in mind. One of the first orders of business was to streamline operations and shut down duplicate lines and services. To add to his burden, CN had inherited a staggering debt load of $1.3 billion from the CNoR and GTR which had to be repaid. Thornton was under enormous pressure to build revenues as quickly as possible. Henry Thornton was popular with both his employees and the public at large. However when it came to the Canadian Pacific Railway (CPR), he was far less affable. Thornton proved to be a forceful adversary who finally gave the CPR its first serious taste of competition in the west. Throughout the 1920s the CN and CPR played an aggressive game of one-upmanship. Whatever the CPR did, Thornton had to outdo them. One major irritant for the CPR revolved around an early broadcasting service that CN initiated for its passengers. Initially the broadcasts, which consisted of messages from Thornton to his passengers and employees, began as a novelty. They were well-received and programming was quickly expanded to include news, sports, and variety programs from private broadcasters. By 1929, CN owned 75 stations. In 1932, following complaints from the CPR, the network was purchased by the government and went on to become the forerunner of the CBC. The railway unions, infuriated at the Bennett government's treatment towards Thornton, launched an intensive campaign to ensure that all the politicians who had ganged up on him were removed from office. Their efforts were justly rewarded in the election of 1935 when every single one of them went down to defeat. During the mid 60s, the Canadian National Railway officially re-branded itself as Canadian National (CN) and adopted an impressive new logo to capture its new identity. With the formation of VIA Rail Rail in 1978, both CN and the CPR divested themselves of passenger service to focus solely on freight. Deregulation finally allowed CN to shut down unprofitable routes and sell off land it was no longer using. In the early 1990s, the Canadian government began to set the stage for privatization of the CN which was completed in 1995. Now a publicly traded company, the railway has continued to expand and post impressive profits. Today CN is Canada's largest railway and maintains operations in both Canada and in the United States. CN is a full service freight transportation company which offers trucking, intermodal, warehousing, and distribution services. Full details of its many holdings can be found on the company's website. With the acquisition of the Algoma Central Railway in 2001, CN is back in passenger rail business on a limited scale operating a number of scenic tourist and excursion routes in northern Ontario.